Mommy cooks this for several times already and I really love the taste. 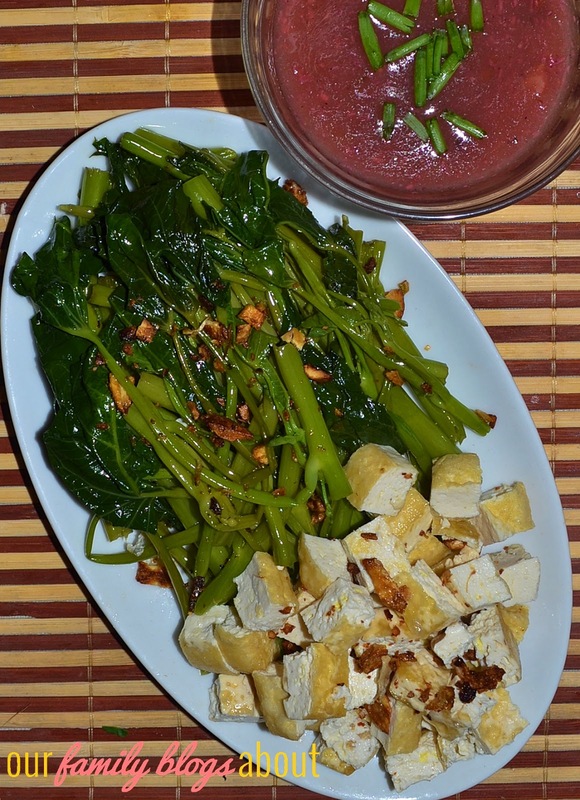 The sweetness and saltiness of bagoong guisado compliments with the fried kangkong. This simple recipe will cost you not that much but it will definitely satisfy you. This can be easily prepared and served for less than 30 minutes. 1. Heat the pan with oil. 2. Stir-fry kangkong until cooked. 4. In the same pan, sauté onion and garlic. 5. Add bagoong or shrimp paste. 6. Add ¼ cup water and simmer for 2-3 minutes. 7. Add cornstarch mixture and continue simmer until thickens.